The Australian flag has a dark royal blue base with a depiction of the British Union Jack in the upper left quarter. 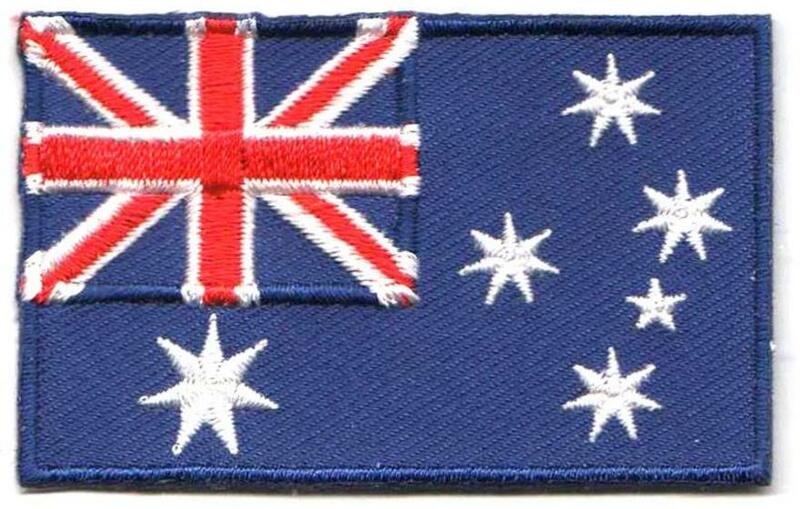 The Australian flag has a large white seven pointed star (the star of federation) under the middle of the Union Jack. The stars represent each of Australia's six states, one additional point represents Australia's territories. 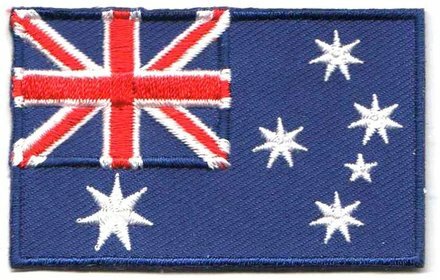 The right half of the Australian flag consists of a constellation (the Southern Cross constellation) with one small white five pointed star and four larger white seven pointed stars that are equal in size. The Australian national flag was first flown in 1901 after Australia had become a nation. Australia's current flag was last changed on May 22, 1909. 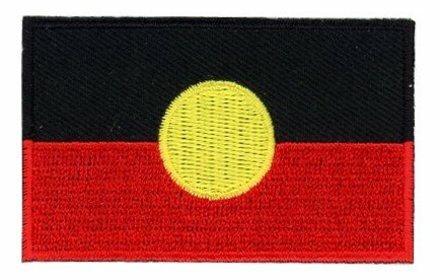 Throughout Australia's first 50 years the flag had two versions, the first having the same design but with a red background. On Apr. 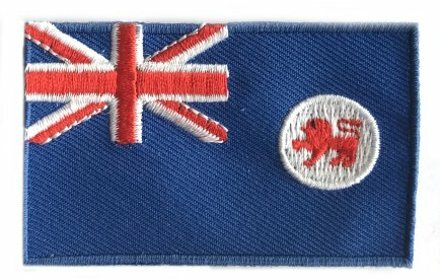 14, 1954 the "Blue Ensign" flag finally became Australia's official flag. The blue based Australian flag was adopted over the red design due to the fact that red represented communism. 1. 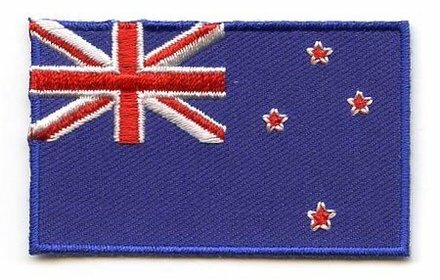 The Australian flag patch is one of only two in the world that has a seven pointed star on it. The only other is the flag of Jordan. 2. 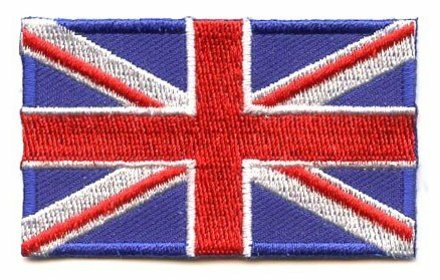 There has been huge debate in Australia over changing the flag, especially when it comes to removing the Union Jack. However, nothing has come of it yet. 3. A competition to design Australia's flag was held in the late 1800's and prize money was awarded to the winner. There were 32,823 entries, and six of them were remarkably similar. 4. The national flag was designed based on those entries and the six contestants split the prize money of 150 pounds.